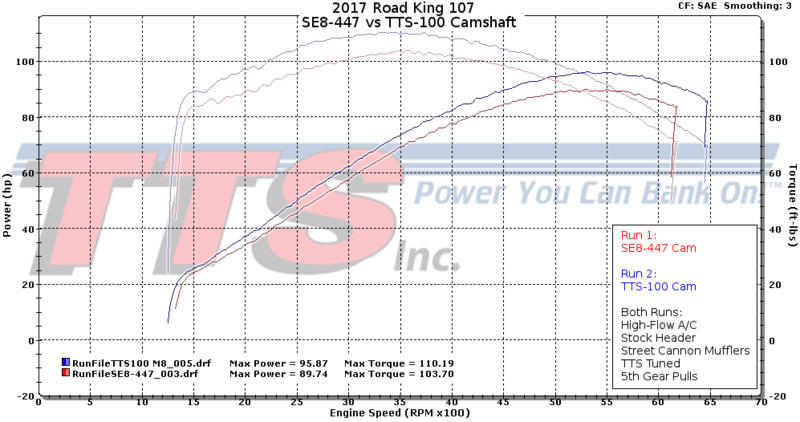 TTS Camshafts are designed to provide smooth power delivery throughout your engine's entire operating range. 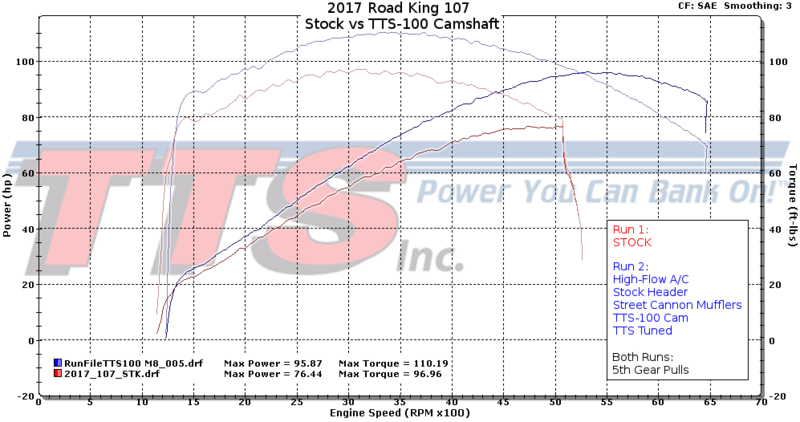 The various grinds allow you to select a cam that optimizes torque in the RPM range you require without compromising performance elsewhere. WARNING: This product may expose you to chemicals which are known to the State of California to cause cancer, birth defects, or other reproductive harm. For more information go to www.P65Warnings.ca.gov. 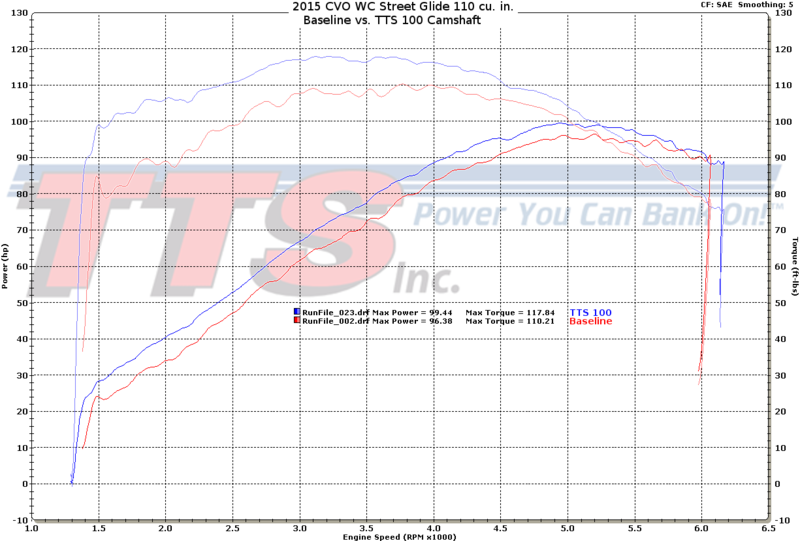 Designed to increase torque in the 1000-4000 RPM range with smooth power to 5500 RPM. Ideal for heavy bikes like baggers or trikes. FOR CLOSED COURSE COMPETITION USE ONLY. NOT LEGAL FOR SALE OR USE IN CALIFORNIA ON ANY POLLUTION CONTROLLED MOTOR VEHICLE. 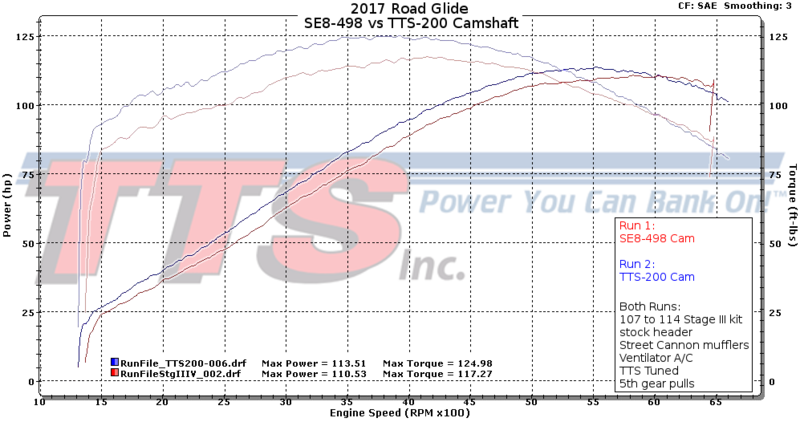 Designed to increase torque in the 2200-5200 RPM range. 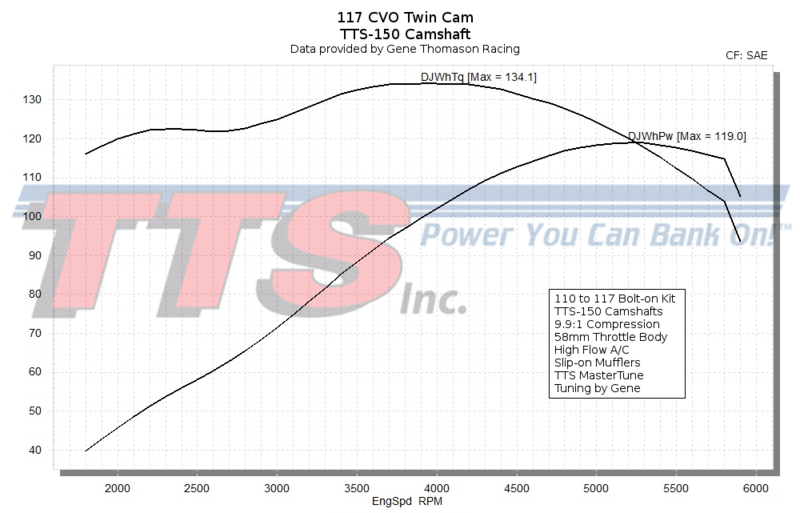 Developed for 88-117 CID with stock heads and pistons. Not recommended for compression over 10.5:1. 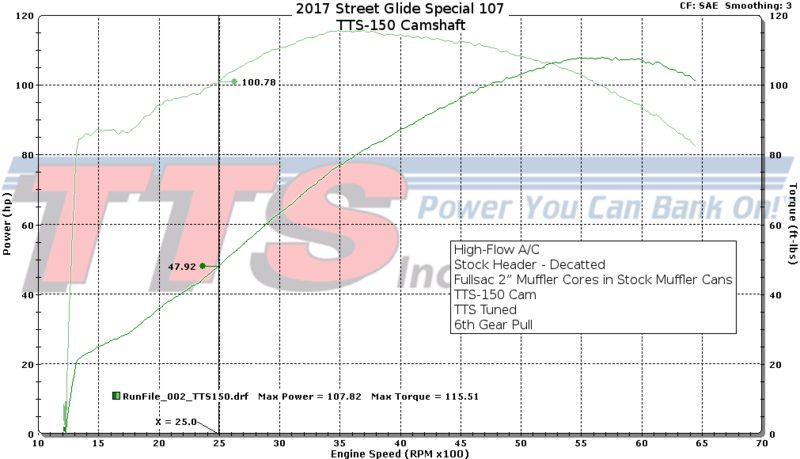 Designed to increase torque over a broad RPM range (1800-5500 RPM). Developed for Milwaukee-Eight engines with modified heads and pistons. Ideal for Stage III or IV kits. Not recommended for compression over 11.0:1. 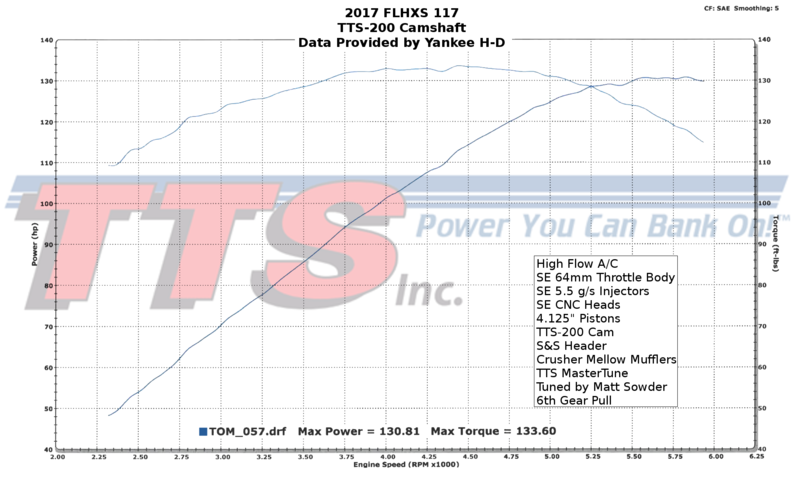 Designed to increase torque in the 2500-6000 RPM range. Not recommended for compression over 12.0:1. 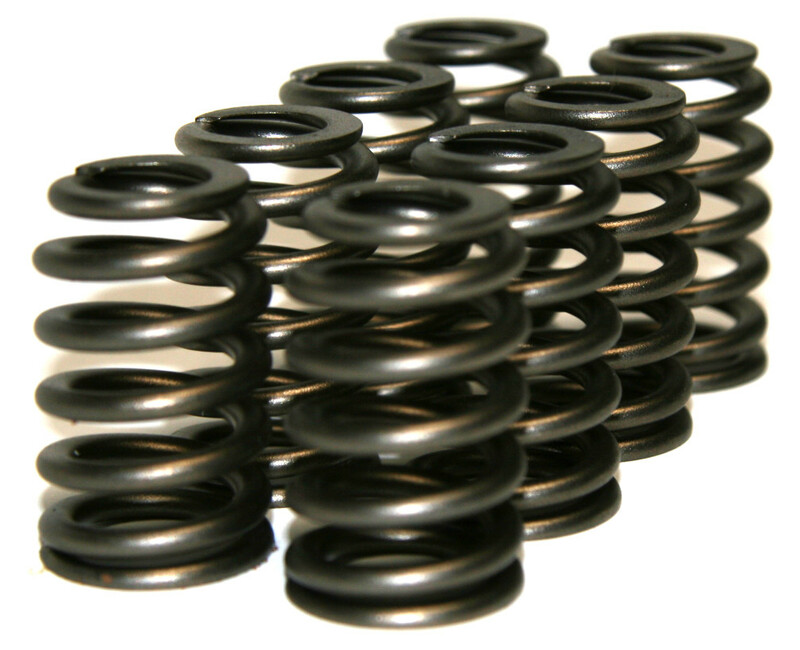 These Milwaukee-Eight Beehive shaped valve springs are made to withstand the High Performance needs of higher lift camshafts like the TTS 200 and TTS 250 cam profiles. Manufactured from quality chrome silicon based wire that is shaped, heat treated and shot-peened to the highest standards. The unique shaped of the wire allows us to provide a high quality high lift spring in a smaller package size to properly control valve motion, without the need of excessive pressure which robs performance and decreases durability. Set of 8 valve springs. 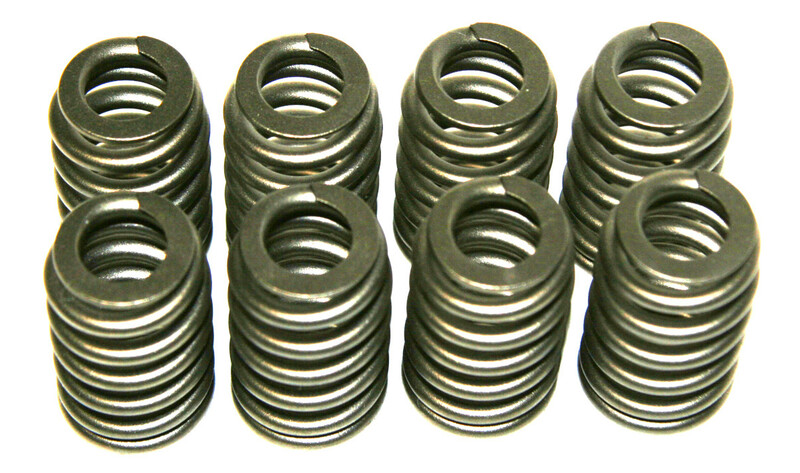 These springs are drop in replacements for the stock M8 heads with no modifications necessary. 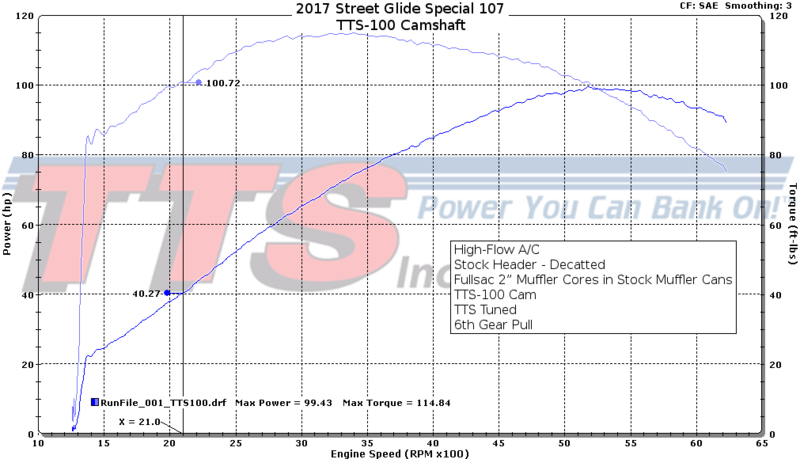 When installed at stock spring height (1.535") they will handle .585" valve lift and when installed at 1.550" they will handle .600" Valve lift. 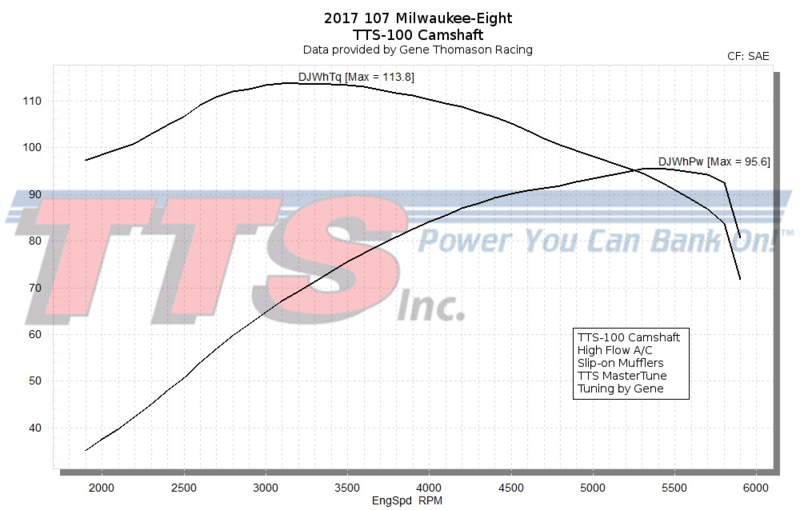 All TTS camshafts for H-D Twin Cam engines are designed to utilize the more efficient 2007 cam drive system. This system uses hydraulic tensioners and oil pressure to maintain chain tension. The parts to complete this conversion are listed below and can be purchased from your local H-D dealer. 0.030" longer pushrods when used with stock heads. Cylinder head assembly must be modified to accomodate higher valve lifts.